Number 37 Squadron, RFC, was formed as an experimental squadron at Orfordness, Suffolk, on 15 April, 1916, but ceased to exist the following month when it was absorbed by the experimental station at Orfordness. In September 1916, it re-formed as a Home Defence squadron with its headquarters at Woodham Mortimer, in Essex. The Flights were dispersed for operational reasons to landing grounds at Rochford, Stow Maries and Goldhanger to constitute a line of defence against aircraft and airships attacking London. Indeed, on the night 16/17 June, 1917, a Lt L.P. Watkins, a Canadian Army officer attached to 37 Squadron, destroyed Zeppelin L48 over Suffolk when flying a BE.12. At the end of the war, all 37 Squadron Flights were concentrated at Stow Maries before moving to Biggin Hill in March 1919, however, five months later, it was re-numbered 39 Squadron. 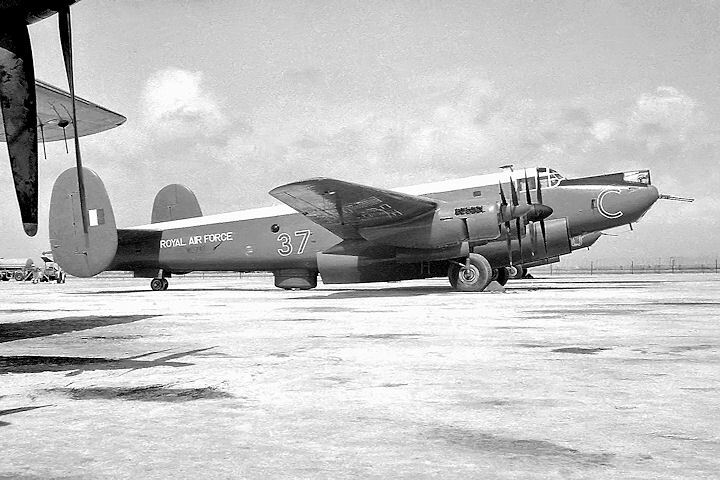 As the slow build-up of offensive aircraft for the RAF progressed, 37 Squadron was reformed out of a nucleus provided from 214 Squadron in April 1937. 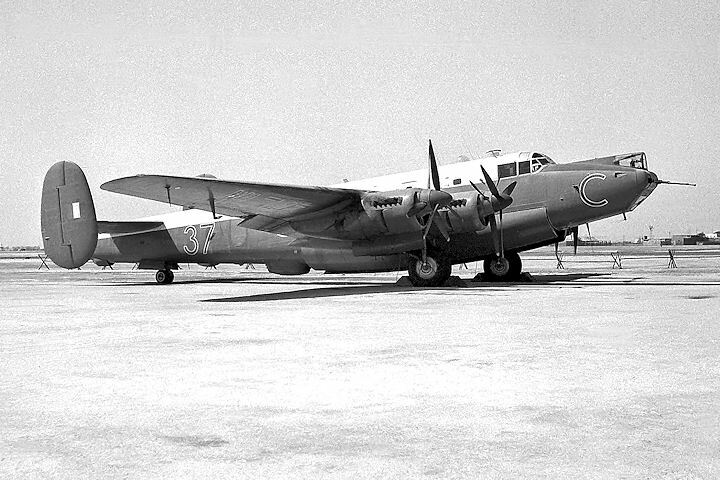 It was equipped initially with Handley Page Harrows, but by the outbreak of the Second World War these had been replaced by Vickers Wellingtons. Within a few hours of the outbreak of war, six of the squadron’s Wellingtons had taken off to attack German warships near Heligoland but because of bad weather and poor light, they could not find their targets and returned to base. The 18 December was a dark day in the history of the squadron and was deemed such a disaster that Wellingtons were banned from approaching the shores of Germany by day thereafter. A force of 22 Wellingtons, six of them from 37 Squadron, were pounced upon by Me109s and Me110s, attacking from the side; tactics that the Wellington crews could not cope with due to their limited fields of fire. 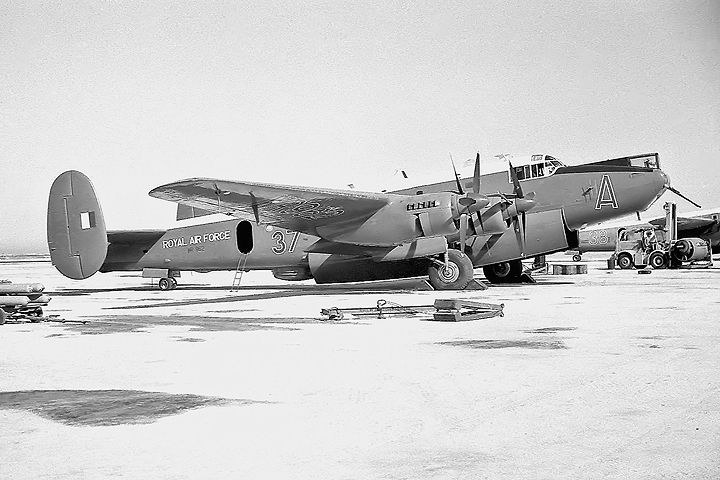 Five of 37’s aircraft were lost in total. 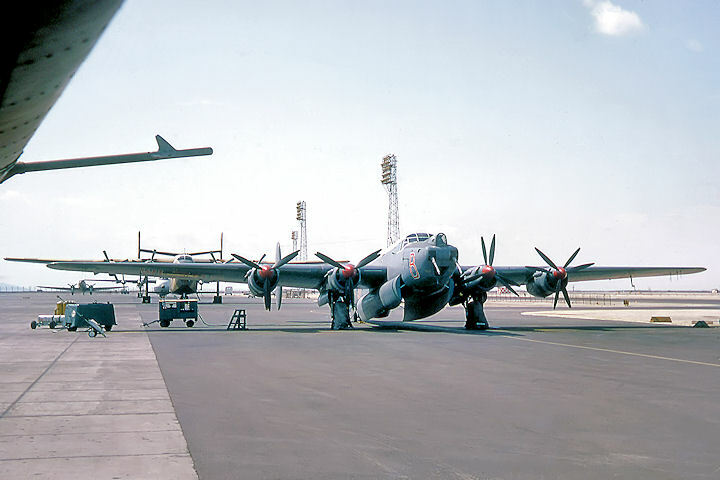 After a further year of night-bombing operations over Germany, 37 Squadron moved to Egypt in November 1940 in support of allied operations in that region and stayed there for the remainder of the war. On 2 October, 1945, the Squadron moved to Palestine but was back in Egypt by December where it disbanded on 31 March, 1946. 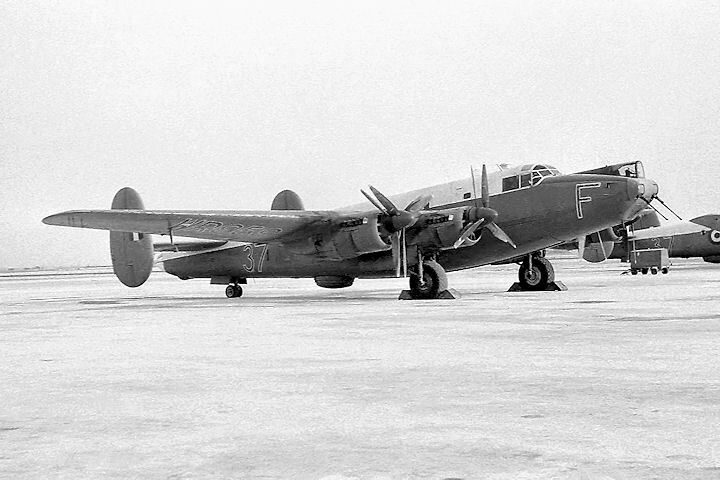 It re-appeared for a year on 15 April, 1946, with the renumbering of 214 Squadron into 37 and flew Lancasters until disbanding again on 1 April, 1947. 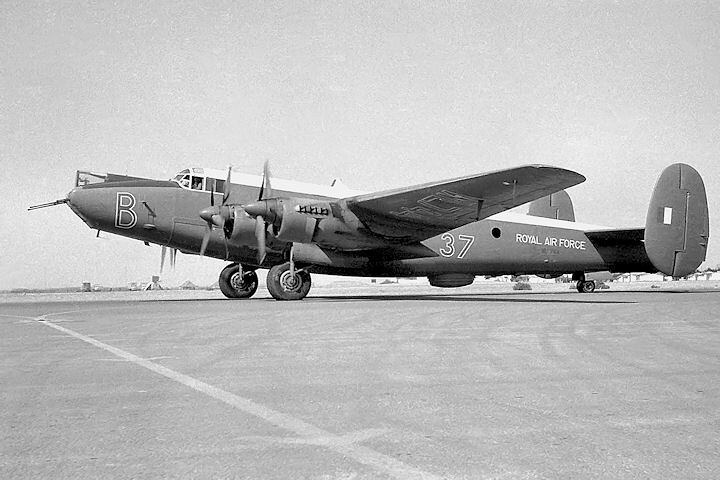 Six months later, on 14 September, 1947, it reformed yet again in Palestine flying Lancasters in the maritime reconnaissance role. 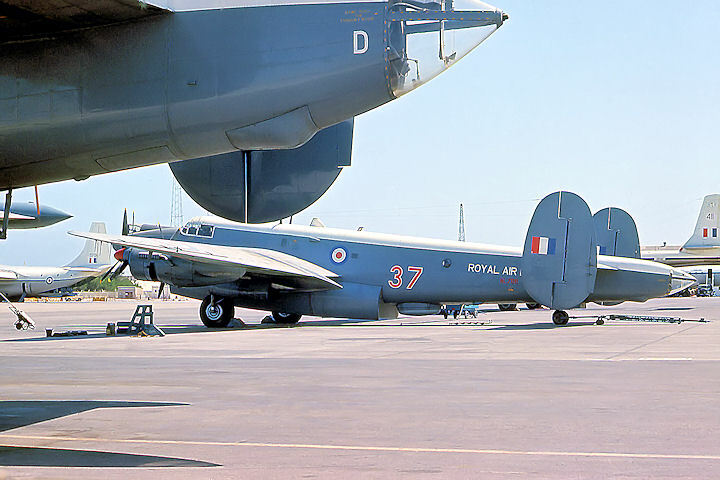 Then, in May 1948, it moved to Malta where it converted to the Shackleton in August 1953, before making its final move to Khormaksar in Aden, in August 1957. Here it flew the MR.2 version of the aircraft on internal policing and ocean patrols until finally disbanding on 5 September, 1967. 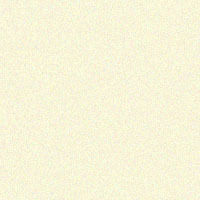 The photograph was taken shortly before the aircraft was scambled on the last operational sortie by the squadron.